Disneynature's thirteenth nature documentary continues a winning formula: cute animals, sassy narrators, and some real danger. Before Disney wraps up the third phase of its blockbuster Marvel Cinematic Universe later this summer, the studio has yet another long-running series to keep building out. Sandwiched alongside all those superhero movies, that “Star Wars” franchise, a growing list of live-action remakes, and a continued interest in their Disney Princess films, Disneynature has quietly churned out over a dozen nature documentaries since its inception over a decade ago. In a crowded House of Mouse, they remain some of the best bets the studio has to offer, uniting entrainment and education in an appealing package. With “Penguins,” frequent Disneynature filmmaker Alastair Fothergill and franchise newbie Jeff Wilson are working in a more minor key than such essential entries as “Chimpanzee” and “African Cats,” but the artistry and relative magic of the series is still on full display. 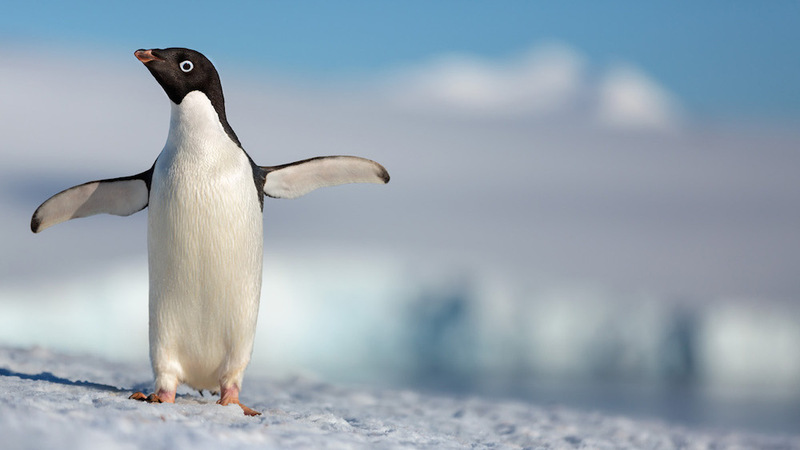 Every Disneynature film needs a hero to lead it, and for the purpose of their latest feature, “Penguins,” that’s “Steve,” a young Adélie penguin about to embark on his first adult trip to Antarctica. Like millions of his brethren, Steve travels to a rocky patch of far-South land in hopes of carrying out his natural purpose: find a mate, build a nest, have some baby penguins, and live long enough to do it all again the next spring. Anthropomorphism has long been a driving force of the Disneynature franchise, which capitalizes on the fuzzy-wuzzy cuteness of its animal leads to sell often-harrowing stories of nature in all its terrifying glory, and Steve is an amiable enough main character. Penguins are both incredibly adorable and deeply amusing, from their waggling chubby bodies to their flailing flippers, and “Penguins” makes excellent use of both the inherent physical humor the flightless birds provide and the noises they make while doing it (if nothing else, the film is an excellent reminder of how vocal the birds are). Disneynature films tend to attract big stars, from Tina Fey to Samuel L. Jackson, to narrate, and here Ed Helms steps in to provide both fact-filled narration and the “voice” of Steve. It’s a good fit, as the young penguin has been cast here as a perpetually late bird just trying to make his way in a wild world, and Helms’ everyman inflections add some necessary levity to sequences of our star doing such penguin-y things as gathering rocks and toddling towards the ocean. Instinct and determination rule Steve’s life, and while “Penguins” hedges over some of the more repetitive parts of daily penguin life (a tossed-off mention that fishing expeditions can sometimes result in 100-mile round trips for each penguin doesn’t quite match up with what’s shown on screen), Helms delivers other chestnuts with just the right touch of humor. “Penguins” is perhaps the most overtly popcorn-y of the Disneynature features to date, as it overlays scenes of Steve and his eventual mate getting to know each other with REO Speedwagon’s “I Can’t Fight This Feeling” playing in its entirety. It’s a bit silly (and that’s to say nothing of the barf jokes when Steve and his mate start feeding their offspring), but interspersed with sweeping shots of tiny penguins shuffling across vast landscapes and just attempting to survive, it takes on some measure of urgency. Of course, there’s still danger lurking around every corner — aside from the anthropomorphism, constant threats to the safety of our animal stars is the other hallmark of the Disneynature films — and Fothergill and Wilson toggle between happy stuff and the darker elements with increasing speed, building up to a tense final sequence that comes with a surprise twist. Still, “Penguins” manages to avoid too much tragedy, and even the constant attacks from skuas, birds that hunt both penguin eggs and penguin babies with equal ferocity, are shot with enough subtlety to not totally scar younger audience members. That’s the hope, at least, because while “Penguins” and the rest of the franchise might offer a sanitized view of life in the wild — good luck finding any mention of global warming in “Penguins,” even as it features a number of scenes of weather acting erratically — that bent towards easy consumption does ensure that a wide range of film fans will be able to enjoy its often vital message. Like other Disneynature offerings, “Penguins” comes with equipped with activist intent: For every ticket sold opening week, Disneynature will make a donation to the Wildlife Conservation Network to help protect penguins across the southern hemisphere. It’s a (very cute) franchise well worth the spend. Disney will release “Penguins” in theaters on Wednesday, April 17.